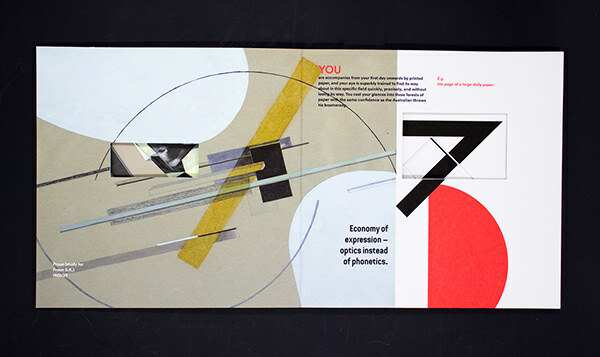 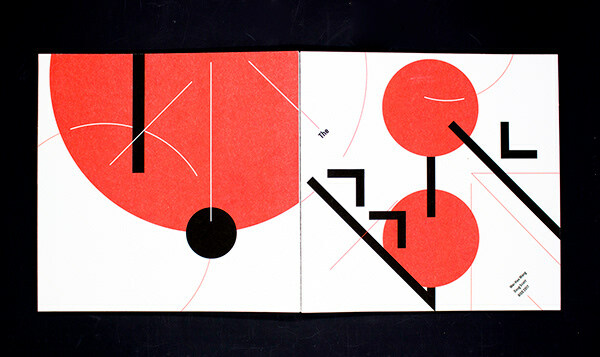 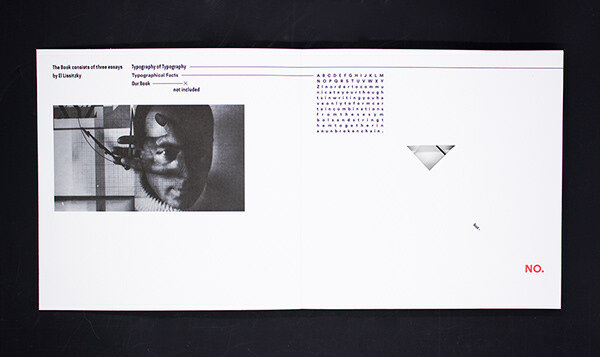 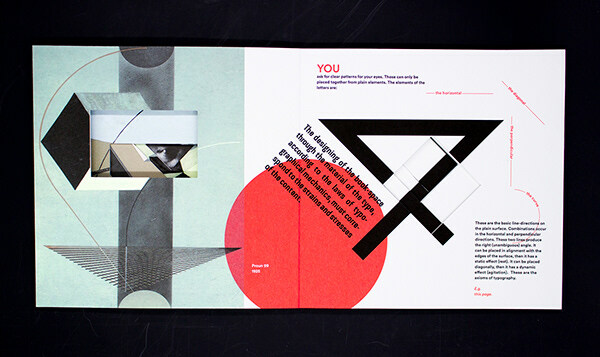 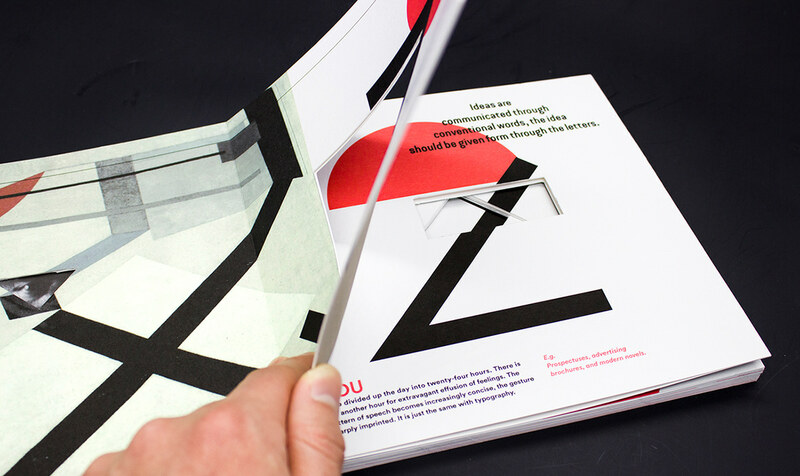 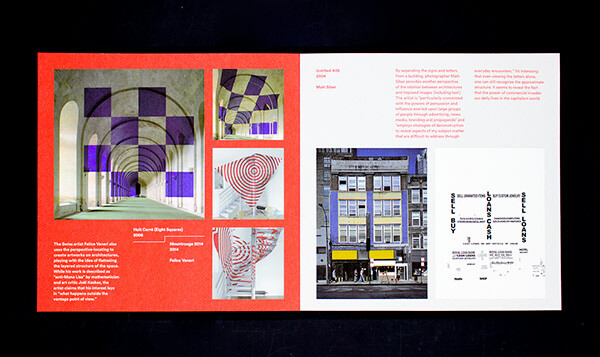 The first part of The Book features El Lissitzky's work, two essays, "Topography of Typography" and "Typographical Facts", and the second part introduces contemporary designers/artists' work that resembles some aspect of Lissitzky's work. 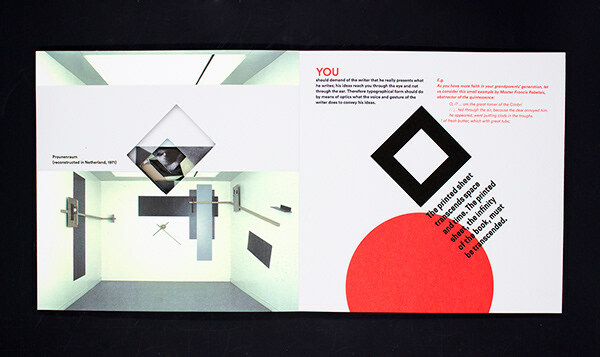 intrigued by the dimensionality of Lissitzky's "proun" series, I include a few comparable anamorphic works that incorporate architectural space and other artworks playing with dimension. 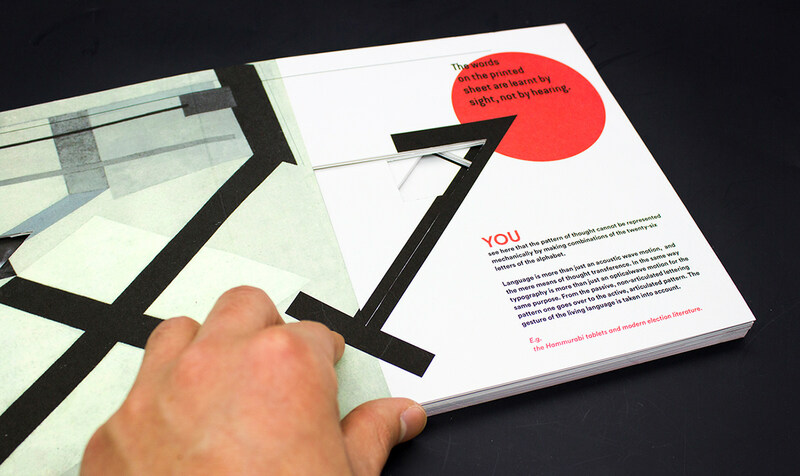 In response to the intriguing quality of these 3-D work, the pages in the first part are cut out to show the shared parts of the numbers on each right-hand side page. 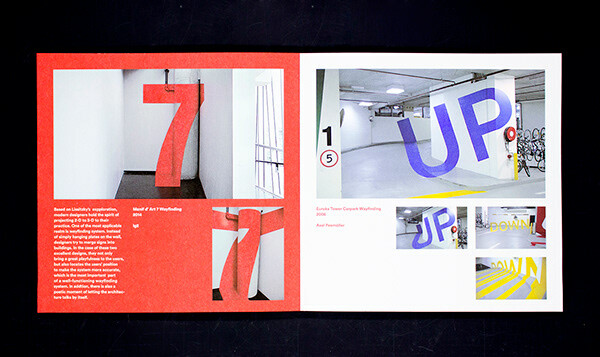 As the reader is flipping through the pages, the numbers will reveal themselves like walking in an architectural structure.